Grain is excited to announce a special issue dedicated to the work of Indigenous writers and storytellers, coming Summer 2019! We invite submissions of unpublished fiction, nonfiction, and poetry from all First Nations, Métis, and Inuit writers. This special issue is being guest edited by Lisa Bird-Wilson (fiction and nonfiction) and Tenille Campbell (poetry). The guest editors encourage submission of exciting, edgy, engaging (all the e’s) contemporary fiction, nonfiction, and poetry that reflect Indigenous lives, concerns, moments, thoughts, dreams, and so on. Whatever you do, don’t play it safe. Be brave! Surprise us! Deadline extended to March 3, 2019! Check out our Guest Editor Q&A! Lisa Bird-Wilson is a Saskatchewan Métis and nêhiyaw writer whose work appears in literary magazines and anthologies across Canada, including a regular column in Geist. Her fiction book, Just Pretending (Coteau Books), won four Saskatchewan Book Awards, including 2014 Book of the Year. Just Pretending is the Saskatchewan “One Book One Province” selection for 2019. Bird-Wilson’s debut poetry collection, The Red Files (Nightwood Editions 2016), is inspired by family and archival sources and reflects on the legacy of the residential school system and the fragmentation of families and histories. Bird-Wilson is currently working on a new book of fiction. Tenille K Campbell is a Dene/Métis author and photographer from English River First Nation in Northern Saskatchewan. 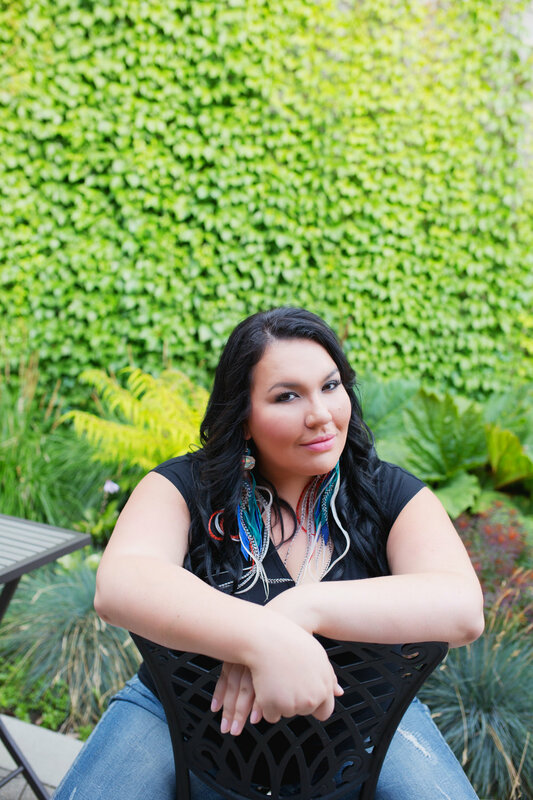 She completed her MFA in Creative Writing from UBC and is enrolled in her PhD at University of Saskatchewan, focusing on Indigenous Literature. Her inaugural poetry book, #IndianLovePoems (Signature Editions 2017) is an award-winning collection of poetry that focuses on Indigenous Erotica—using humour, storytelling and sensuality to reclaim and explore ideas of Indigenous sexuality. #IndianLovePoems has placed in the poetry category in the WILLA Literary Awards (USA), as well as the first Indigenous Voices Awards (Canada), and has won two Saskatchewan Book Awards. Submissions are open to writers who identify as Indigenous. Eligible writers are asked to include a brief statement of their Indigenous identity. Please include contact information (address, email, phone), an author bio of 50-100 words, genre, and word count in your cover letter, and that the submission is to be considered for our special issue. Send typed, unpublished material only (we consider work published online to be previously published). If work is submitted simultaneously, please let us know as soon as possible if it is accepted elsewhere. Please only submit work in one genre at one time. Poetry: Individual poems, sequences, or suites up to a maximum of six pages. Fiction and Literary Nonfiction: To a maximum of 3,500 words. Please provide a word count. Other writing: Queries for submissions of work in other forms (i.e. short plays, comics, etc.) are welcome. You may submit such queries through Submittable or by mail. Visual art: Mainly by invitation, though queries are welcome. All contributors, regardless of genre, are paid $50 per page to a maximum of $250, plus two copies of the issue in which their work appears. Visual work published inside the magazine (in black and white) and on the cover (in colour) is paid at the same page rate as text contributions to a maximum of $500. Grain purchases first Canadian serial rights and electronic rights. Copyright remains with the writer or artist. Work can be sent through the mail or online through Submittable. Mailed submissions can only be returned if you include a SASE of appropriate size for your writing with at least $2.00 Canadian postage attached. Or, if you'd like to save on postage and paper, we will reply by email if you provide an email address for that purpose only. Submissions that do not include one of these reply methods will not be read nor returned. We do not accept emailed submissions.